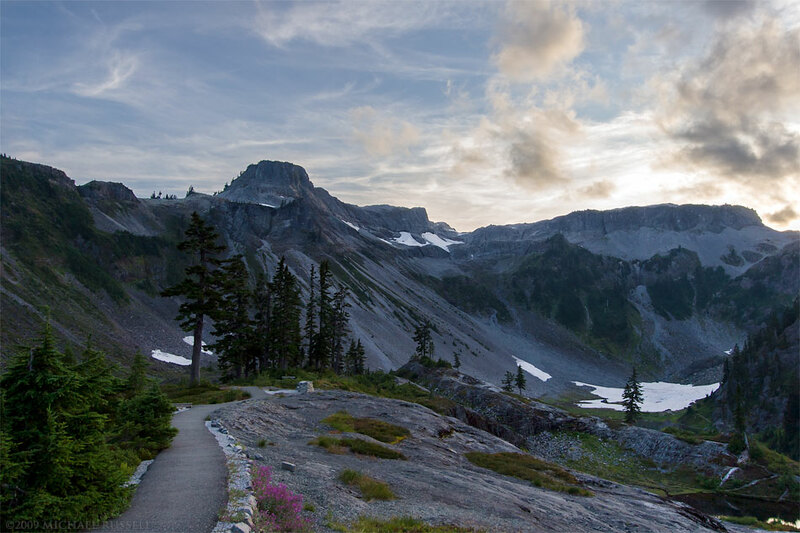 Table Mountain and Heather Meadows area near sunset at the Mount Baker-Snoqualmie National Forest in Washington State. This photograph of Table Mountain was first published here on my blog back in 2009 but has since been reprocessed to bring out a few more details in the sky and the foreground. The path here leads down to the Bagley lakes and trails that lead further up towards Herman Saddle and the lakes to the west. One of my favourite spots to stop while visiting the area as there is a wide variety of subjects to photograph.